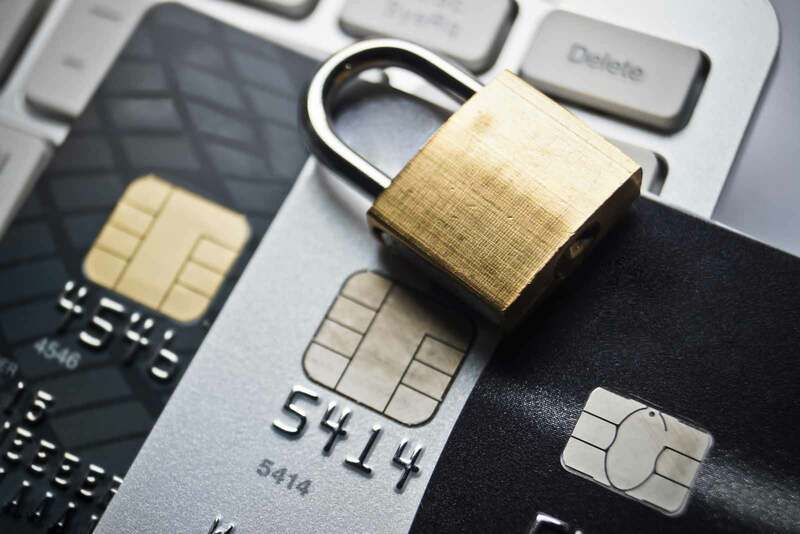 EMV Terminal Upgrade Means Chargeback Protection. Let The Credit Card Companies Take The Risk For You By Using an EMV terminal At Your Business Today. I'm ready to protect my business! Do I need an EMV Terminal for my business? EMV is an acronym for Europay, MasterCard and Visa. EMV credit card terminals are used to support a joint global standard for acceptance of chip-cards, chip payment applications and devices plus chip payment procedures. Why Use an EMV Terminal? By employing an EMV terminal, businesses across the globe reduced their losses to fraud. Lower fraud losses aid in controlling the cost of doing business for all the stakeholders, including merchants. 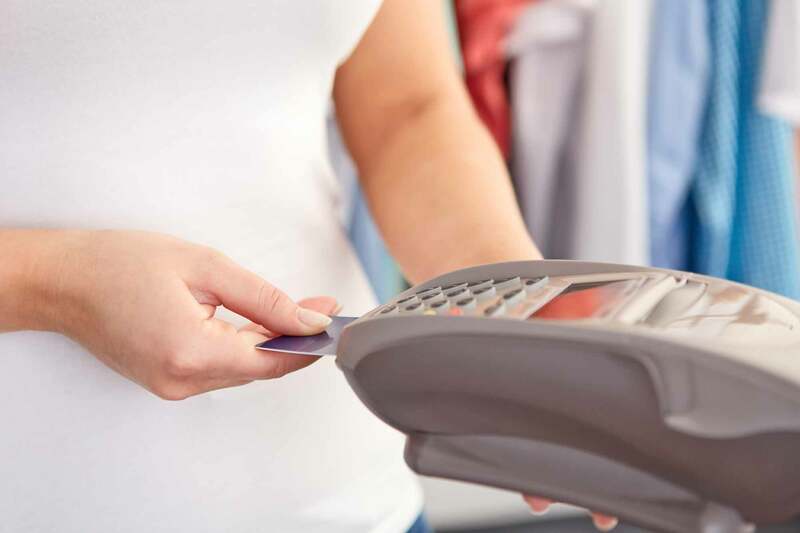 Merchants benefit from fewer charge-backs by using terminals that process chip transactions. The merchant is not financially liable for the cost of specific fraud transactions when cashiers follow terminal displayed directions. 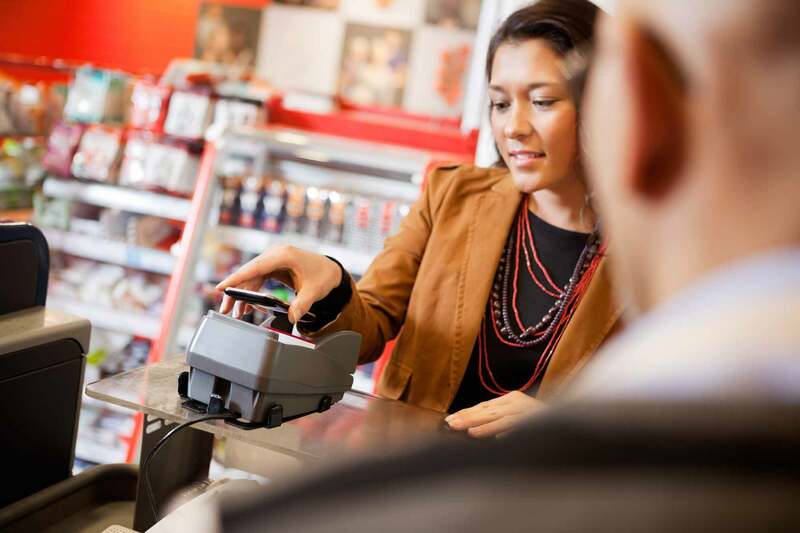 Cashiers must also follow the business’s routine security practices. The card issuers – banks, credit unions and others, are issuing chip cards now. Foreign travelers on vacation or business in the United States bring chip cards from Europe and Asia and other regions. Many of these cards have NO magnetic stripe. 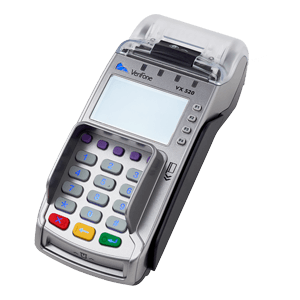 There are multiple types of EMV Terminals but the three types we support at Shift processing include the VX520, Ingenico ICT 220 and the Pax 80. Contact EMV, the cardholder inserts the card into the reader. 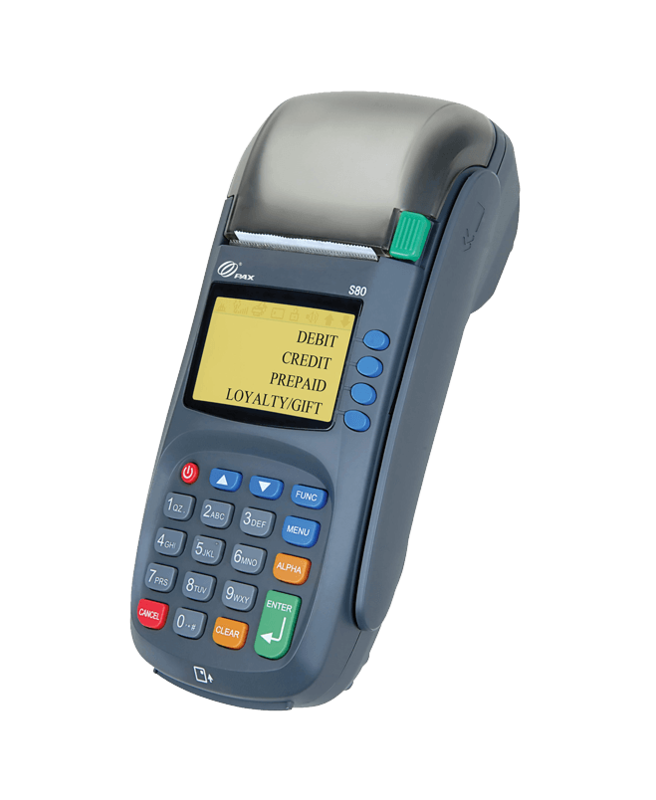 EMV terminal contact readers update the chip with each use, reading then writing data to the chip. In both examples, the embedded microchip sends the card data to the POS system, replacing the magnetic strip. Most banks will still issue cards with a chip and magnetic strip for cardholder use where merchants have not updated to EMV. Magnetic strips will be phased out in the next few years. ​Contactless EMV is when a cardholder waves the card within 3″ to 4″ of the reader’s antenna as noted on the terminal or reader. Transactions process after cardholders remove the chip card from the contactless field. We have your EMV Terminals! Let Shift Processing help you make sure your business is covered when your next chargeback comes around. If you are looking for EMV Terminals, the new Ingenico iCT220 terminal is EMV level 1, level 2 and PCI PED 2.0 certified. The iCT220 delivers security-as standard and peace of mind for both the consumer and the merchant. Its 32-bit RISC crypto-processor provides a uniquely scalable and high-performance platform to support a host of new generation or reinforced security applications, with no impact on transaction speed or reliability. Performance Utilizing ARM9 and ARM7 microprocessor technology, the iCT220 countertop terminal combines innovation and performance – assuring a faster, more convenient and more reliable transaction every time. Design/Ergonomics With compact design and ergonomic styling, Ingenico’s iCT220 offers a huge range of functionality. Clear backlit graphic displays, high contrast white screen allows easy reading and promotion of the merchant’s brand, while the intuitively backlit designed keypad, with large keys, delivers ease of use for both merchant and consumer. Communication Equipped with an unparalleled array of communication technologies, such as fast modem, Ethernet or USB, Ingenico’s iCT220 delivers anytime, anywhere connectivity. Software Development Ingenico delivers incremental revenue today and future proofs the terminal investments of tomorrow. The iCT220 provides the rapid development environment on which to build a compelling portfolio of targeted, new generation services. Field Services To reduce total cost of ownership and enable merchants and banks to maximize their terminals investments, Ingenico provides a comprehensive range of terminal and software update and management services… both remotely and in the field. Sign me up for an Ingenico ICT220! Already certified to PCI 2.x, the S80 is a compact, secure and ruggedized payment terminal capable of processing payments with a variety of connectivity options. Equipped with a 32‐Bit ARM9 CPU, large memory, and a high‐speed thermal printer, the S80 is an ideal payment device for use in banking, large retail, hospitality, food service, and convenience stores. 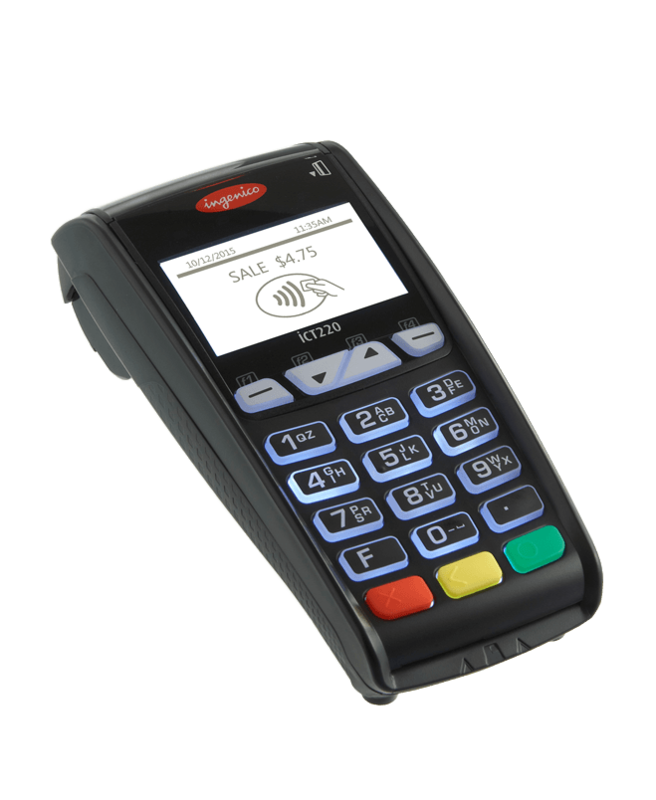 The S80 has an intuitive ATM‐style interface and ergonomic keypad for easy operation, which results in reduced training costs. The S80 is also capable of running up to 23 payment applications and parameters, making this a powerful solution for many business applications. The GPRS version is available with 1 or 2 SIM slots. Sign me up for a Pax S80! Find the EMV Terminal that's right for me!